Who pays the medical bills for passengers injured in car accidents? Drivers injured in car accidents may be entitled to compensation for medical expenses, lost wages, pain and suffering, and other damages. But when passengers are hurt in a wreck, you may wonder who pays for their damages. Ultimately, it depends on who was responsible for the accident and how well insured the involved parties are. For passengers seeking compensation for accident-related injuries and losses, the first step is to file a claim against the at-fault driver's insurance policy. Typically, these policies cover medical bills, lost wages, and even pain and suffering—but there’s often a limit. If a passenger's injuries are significant or costly, it may be necessary to pursue compensation from additional sources, and the injured victim has a number of options. Car accidents are not always the fault of a single motorist. If the drivers of any of the other involved vehicles were found to be even partially responsible, injured passengers can file claims against their insurance policies, as well. However, the amount received can't exceed the total value of the claim. In cases where the at-fault driver or drivers lacked insurance—or when the compensation recovered through their insurance policies is insufficient—injured passengers may be able to file a claim against the uninsured/underinsured provision of their own automobile insurance policy. In Tennessee, all liability car insurance policies automatically include uninsured motorist coverage. The limits for this type of coverage are equal to the policy's bodily injury liability limits. If you were a passenger and injured in a car accident, the experienced car wreck lawyers with the Holton Law Firm can help you explore your legal options and identify all potential avenues of compensation. Contact the Holton Law Firm today to schedule an appointment for a free initial case consultation. Hurt In A Wreck? Call Our Office Today. Life is often very frantic after a car accident, but it is very important to remain calm. Below is a list of the steps you should take if you were in a car accident in Tennessee. First, bring your car to a stop, and put on your hazard lights if they are still functional. Second, you want to check yourself and any passengers for any injuries. Look for any serious injuries, and when in doubt call for an ambulance. Third, call 911 or your local police non-emergency number. You want to have a police report made that documents the accident. Accident reports establish who was driving, what insurance was covering the vehicle, and how the vehicles made impact. Fourth, exchange insurance information with the other driver. You should also make note of their license plate number, and drivers license number when possible. This information should be included in the accident report, but the report will not be immediately available to you. Fifth, take pictures or video of the vehicles and the accident scene. If there are any witnesses to the accident, be sure to ask them for their name and number so that they can be contacted at a later time. Sixth, do not sign any insurance documents before consulting with a lawyer. Insurance companies are notorious for trying to settle claims cheaply and quickly right after the accident happens. They know that an accident can turn life upside down, and early on it is less likely the injured person has had time to consider any long term damages. Recently we heard of two young parents who were horrificly injured in a car accident which left them in the ICU for weeks. Before they had even finished their medical treatment, the insurance company was calling them trying to settle their claims for less than two weeks of lost wages. The unfortunate reality was that those serious injuries had lifelong implications, and those two weeks of lost wages would have been less than a drop in the bucket. If you've been injured in an accident, call our office at 901-523-2222. We know how to help. It is true that no two car accidents are exactly alike, but there are certain common elements that show up time and again in the accidents that we review at the Holton Law Firm. We hope that you will take note of the following list of common causes of car accidents. Distracted Driving- In today's modern age of technology, the likelihood of driving while distracted has increased dramatically. In fact, each year, more and more accidents occur because someone was texting, checking facebook, or taking a selfie with their phone. Often these accidents involve rear end collisions where the driver's focus shifts from the road to a phone or other device and doesn't see traffic slowing or stopping. Drunk Driving- Even With the increasing availability of affordable ride-sharing services like Uber and Lyft, drunk driving continues to be one of the most deadly causes of car accidents. Driving under the influence of alcohol or drugs (even prescription drugs) has consistently been shown to decrease reaction times, coordination, and focus, and makes car wrecks more likely. Excessive Speed- It may seem like a victimless crime to exceed the posted speed limit, but speeding is often a cause of accidents. Having an accident at more than 55 mph significantly increases the chances of your vehicle rolling over in the crash. Speeding also makes defensive driving more difficult because the faster your vehicle is traveling the less time you will have to react to sudden stops or improper lane changes from other drivers. Hazardous Weather Conditions- Whether it is rain, fog, sleet, snow, or ice, hazardous weather conditions cause or contribute to many wrecks every year. Safely driving in these weather conditions often involves driving at lower speeds with your windshield wipers and lights on. In extreme conditions where visibility is exceedingly low, you can use the hazard lights to help alert other drivers to your presence. Reckless Driving- Reckless driving can include improper lane changes, failing to use turn signals, following too closely, or swerving within the lane. Reckless drivers are often focused on getting somewhere, on "beating" others in traffic, or on a distraction such as music, phone, or other electronic device. Roadway Defects or Obstructions- Defects and obstructions to the road can include potholes, debris from another accident, wildlife such as deer, or construction cones or barrels that are improperly placed without adequate warning. These defects and obstructions can cause sudden stops or swerving in drivers who are caught off guard. There are many causes of accidents, but paying attention to these six will help you become a safer driver. What Causes a Car to Rollover? Rollover accidents carry a higher fatality rate than any other type of crash. While vehicles rolling over is not common in car accidents, rollovers still account for nearly 200,000 accidents in a year. There is no way to absolutely rule out rollovers, but there are certain risk factors that you can avoid to make a rollover less likely. It is significant to note that more than 80% of rollovers are single vehicle accidents. As you will see in the list that follows, this is directly tied to the fact that the majority of risk factors for rollovers are irresponsible driver behaviors. First, the majority of fatalities in rollover accidents involved persons who were not wearing seatbelts. This is true for any type of collision, but it bears repeating that the first line of defense in an accident is a buckled seatbelt. Second, almost 50% of all rollover crashes involve alcohol. Again, this is true for preventing any type of collision, but driving drunk is a behavior that endangers the drunk driver as well as innocent passengers and other drivers. It has been well documented that reaction times, decision making, and coordination are all impaired when the driver is under the influence of alcohol. Third, roughly 40% of all rollover crashes involved excessive speed. Most of the accidents happened where the posted speed limit was 55 mph or above. Again, this is a risky driver behavior that can endanger the life of not only the driver, but also his or her passengers. Fourth, the majority of rollovers happen in rural locations where roads are more likely to be narrow without separation between lanes or barriers, and the speed limit is more likely to be 55 mph or above. Further, rural roads are often winding with twists and turns and poor visibility. Fifth, certain vehicle designs are more likely to rollover when involved in a single vehicle crash. Generally those include tall and narrow vehicles such as SUV's, pickups and vans. These vehicles have a higher center of gravity which makes them less stable and more prone to rollover. If you are concerned that your vehicle may be more likely to rollover, please search for information provided by the National Highway Traffic Safety Administration at https://www.nhtsa.gov/ratings. For your safety and the safety of others, please take note of these risk factors. Drive sober, avoid distractions, and watch your speed. 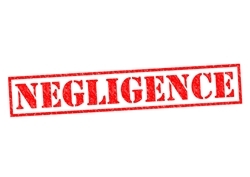 What is modified comparative negligence, and how will it affect my car accident claim? 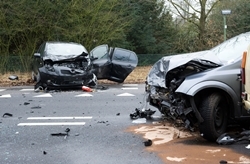 The details of every car accident are unique, and these details become significant when you are trying to recover for your losses after a car accident. If you were partially at fault for your accident—or if the at-fault driver is wrongly attempting to place blame on you—it’s important to understand how Tennessee’s modified comparative negligence rule may affect your claim and how an attorney can help you maximize your recovery. It’s still possible for you to recover for injuries and damages if you are 49% or less at fault for your own accident. A judge or jury will assign you a percentage of fault based on the facts of your case. 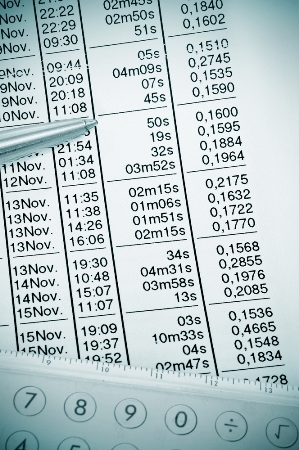 You may recover an appropriate monetary amount based on your percentage of fault. If a judge or jury finds you to be 50% or more at fault for an accident, you will be unable to recover compensation for any injuries or damages you sustained. Your attorney may also use this evidence to show that you acted appropriately and as necessary to protect yourself and your property. If you’ve recently been in an auto accident and feel concerned about your involvement and potential recovery, you need to speak with an attorney. The Holton Law Firm is here to listen to your concerns, prepare you for what comes next, and represent you. To speak with a member of our team, fill out the online contact form on our website today. How can I recover for property damage after a car accident? Cars are designed to strategically sustain the force in a car crash to protect the occupants from a direct impact. However, this means a car may become severely damaged or even totaled in an accident. If you’re involved in a car wreck, it’s possible to recover financially for your property damage through the at-fault driver’s insurance or your own. Who Pays for the Property Damage? The at-fault driver’s insurance. In most cases, the at-fault driver’s insurance is sufficient to cover the costs of property damage in an accident. Your uninsured/underinsured motorist (UM) coverage. If the driver who hit you either left the scene or had inadequate insurance, the UM coverage on your own insurance policy could cover property damage. The driver’s personal finances. In some cases, if neither insurance policy can cover the damages, it might be necessary pursue compensation through a lawsuit. An attorney can help you understand if this is the right option for you. If you’ve been in a car crash and need help with your property damage claim, we can help. At the Holton Law Firm, we’ve been advocating for our clients in and out of the courtroom for decades. To get our team on your case, give us a call today. What is an accident report, and why should I get a copy? Which Tennessee court will hear my car accident injury case? If you’ve been injured in a car accident, the at-fault party’s insurance company may not negotiate in good faith to arrive at a fair settlement to compensate you for your medical bills, lost wages, and pain and suffering. In fact, you may have to file a lawsuit in order to obtain the compensation you deserve. In Tennessee, civil matters such as car accident lawsuits are heard in either a General Sessions Court or Circuit Court. Monetary damage awards cannot exceed $25,000. A judge—not a jury—decides your case. Decisions from the General Sessions Court may be appealed to the Circuit Court. These appeals are heard de novo, meaning the trial starts over as though the original one never occurred. There is no limit on monetary damage awards. Decisions from the Circuit Court may be appealed to the Tennessee Court of Appeals. The court reviews the records from the earlier trial to determine if there was an error that should be reversed—it does not take testimony or admit new evidence. There are pros and cons to filing a lawsuit in either of the two courts. For example, the ability to appeal an unfavorable General Sessions Court decision and have a new trial in Circuit Court may be an advantage in some situations. The ability to request a trial by jury in Circuit Court may be an advantage in other situations. But the best court for your lawsuit is the one that your attorney recommends after reviewing your specific situation and deciding how best to handle your case. After all, your attorney has the knowledge and experience to know what will work best. If you’ve been injured in a car accident, it’s important that you consult with an experienced personal injury attorney to learn more about your legal options. If you are ready to get started, call our office or start a live chat with us now. We look forward to speaking with you. How can I recover for damage to my vehicle after a wreck? How many jurors will hear my case and decide the outcome? In a car accident lawsuit, the injured victim (the plaintiff) brings a case against the at-fault driver (the defendant) with the hopes of recovering financial compensation for bodily injury, property damage, and pain and suffering. If both parties cannot agree on a settlement amount, the case could go to trial in front of a jury. If you were injured and are about to enter into the trial process, it’s important you understand how a jury is selected, what they do, and how they make a decision. Who is liable or at fault? To reach an acceptable decision, the jury must return a unanimous verdict—that is, all 12 must be in agreement. How much are the damages worth? With the information at hand, the jury adds up how much the victim may need to pay for medical bills, property damages, lost wages, and pain and suffering. 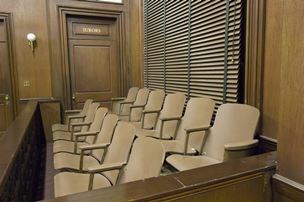 If the jury is unable to reach a unanimous decision, the judge can declare a mistrial—which means the case can be tried again with a different jury. If you’ve been involved in a car accident and need legal help, contact the Holton Law Firm. We are trial lawyers who win cases for our clients, and we want to win for you, too. Contact us today by calling 888-443-4387. What is subrogation, and how does it affect my car accident claim?